Cutting production runs of aluminum or copper? Need pristine results? This semi-automatic cold saw runs at a high speed to make cuts with ripple-free edges every time. Accepts up to a 14” blade. 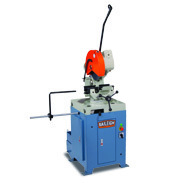 Turns at 3,200 rpm, perfect for cutting soft metals known for gumming up blades. Miters 45° right and 90° left. 5.5 hp high-speed motor runs on 220-volt 3-phase power. Motor drives the blade with a belt to reach the maximum RPM as quickly as possible with few moving parts that could break down. Easy to operate: just put the material in the pneumatic (air-powered) vise and step on the foot pedal to clamp. Semi-automatic system will start the blade, lower it, and cut the material. 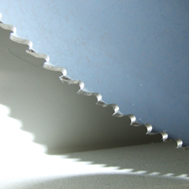 Once the cut is complete, the blade shuts off and the head automatically rises to the top. Automatic descent and return save time, reduce operator effort, and prolong blade life due to the consistent descent speed. American-style vise is self-centering, so you don’t have to adjust it when you change between diameters of tube or pipe. Vise securely holds the material in place with jaws on both the left and right sides of the blade. 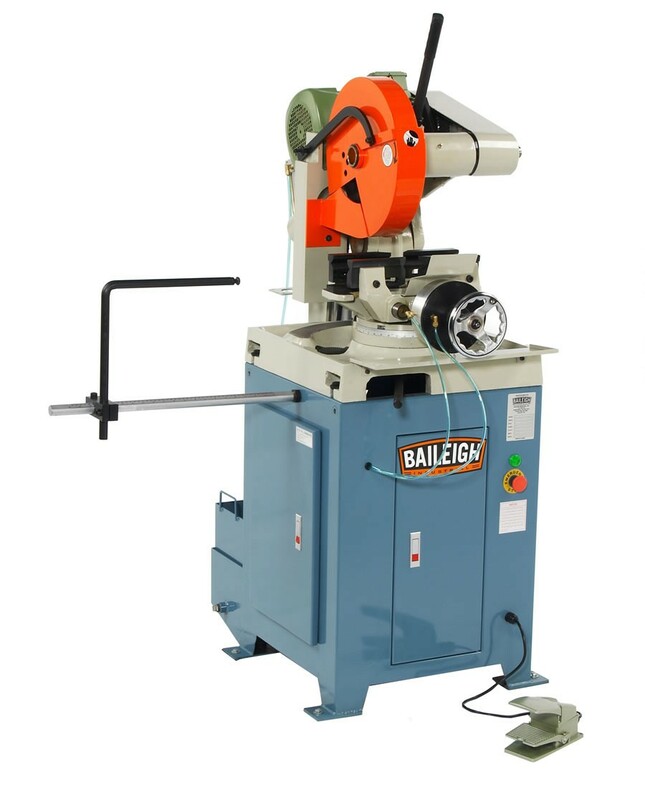 Design adds semi-automatic features to our manual CS-355M, a time-tested staple of our of cold saw line. Stop rod lets you set up repeatable lengths for production runs. 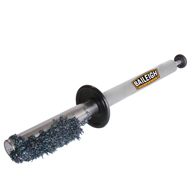 Cast iron head and base reduce vibrations so that the blade produces accurate cuts for many productive years. 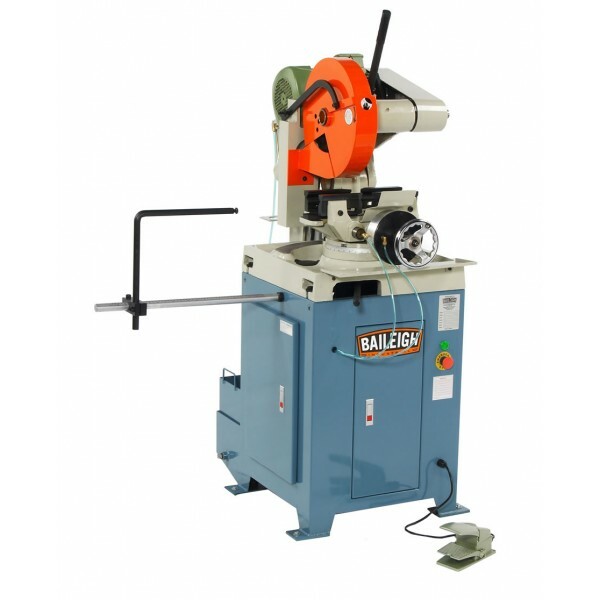 Rugged steel stand supports the saw base and stabilizes the machine. Flood coolant system helps the blade cut more smoothly for cleaner, higher-quality results. Coolant system also makes blades last longer and extends the entire circular saw’s lifetime of use. Replacement parts are in stock at our Wisconsin headquarters, so we can ship them quickly. This circular saw is covered by a 1-year parts warranty. We offer lifetime technical support by phone. Call our team of knowledgeable reps whenever you have questions.